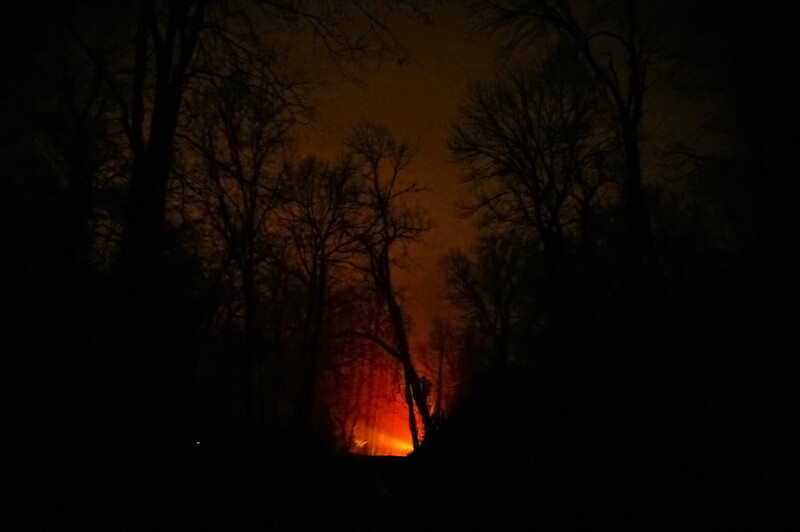 Last night, reporter Lauren and I covered a fire in Newberry Township. It was the second fire in Newberry Township that day — I wasn’t sent to the first — but what caught editors’ attention was that a women was insisting on removing her exotic birds from the burning house. Then, the scanner crackled to life when emergency officials began shouting about ammunition going off inside the house. Lights from the fire vehicles. 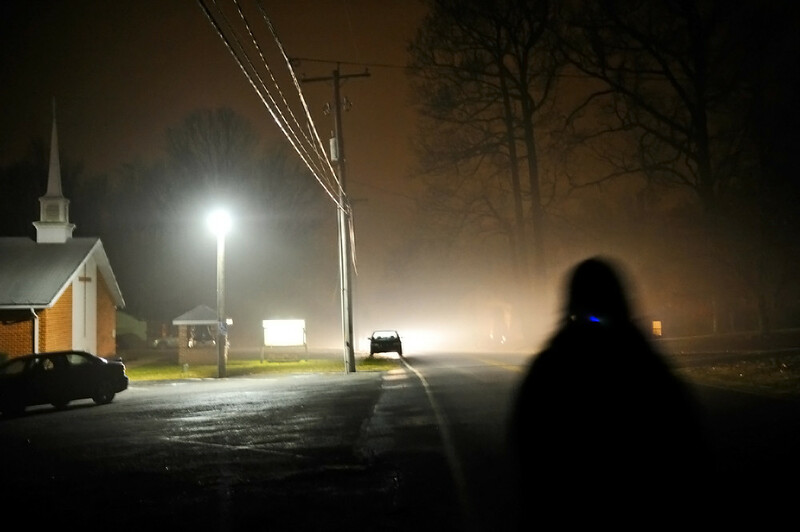 Lauren (right) walks toward her car (center), which is silhouetted by an oncoming car.